REALize your adventure with the all-new 2018 Yamaha Wolverine X4. The Wolverine X4 offers four times the proven off-road capability, four times the comfort and four-times the confidence… to deliver four times the fun and excitement. ClubMX has come a long way—but it hasn’t gone too far. I last visited probably four years ago, watching guys like Zach Osborne, Phil Nicoletti, Justin Brayton, and Kyle Peters pound out sand motos the week before Southwick. It was raining, too, which just made it even more Southwick-like. Even in the rain, the track was amazing. It was the kind of place you’d take a photo of, hang it on the wall, and imagine doing endless laps. The track keeps evolving. By now, ClubMX’s Brandon Haas says he’s onto somewhere around his 27th different layout, and the track I saw last week had rollers designed to prep riders for Loretta Lynn’s infamous Ten Commandments (remember: ClubMX, like most training facilities, exists to serve amateur riders). 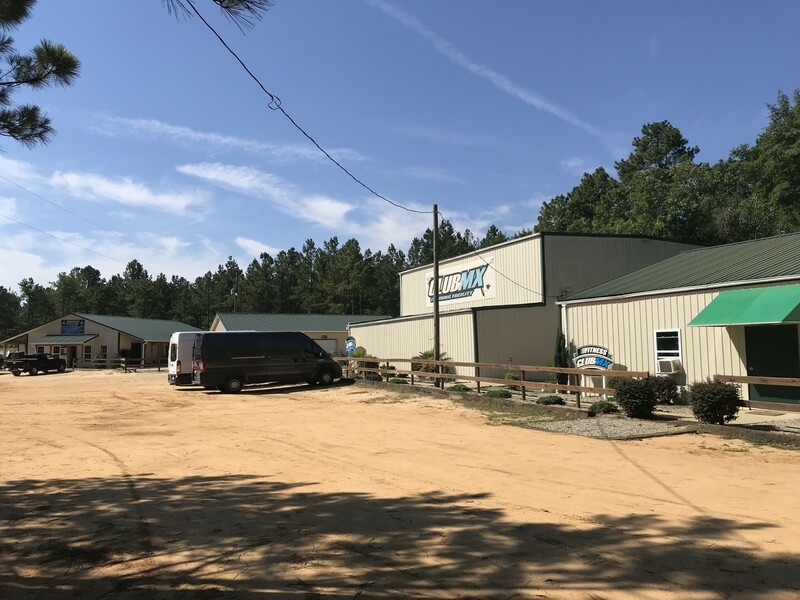 The track is big, rough, fast, and sandy, and there’s an even gnarlier sand track in the back that lies in wait for more Southwick prep and a vet-style track across the street. ClubMX has really picked up its supercross game, though. When I last visited, there was one supercross track by the main gate. Now there’s another down the hill, literally in the front yard of the house shared by GEICO Honda’s Cameron McAdoo and Justin Brayton’s practice mechanic Brent Duffe. More supercross is coming, as ClubMX plans on moving the vet track to build more supercross tracks and do faster builds so they can replicate the tracks that are coming each weekend in Monster Energy Supercross. Justin Brayton has become a ClubMX-lifer, and his win last year at Daytona really gave the whole supercross program down there a big jolt. But ClubMX already had cool tracks. What impressed me most since my last visit was the improvements to the facility around the tracks. There are several new buildings, with multiple individual garages/shops for bikes. There’s a cafeteria, which has a cool outside hangout area where I was able to watch motos while using the WiFi to work for the day. Houses like McAdoo’s have sprung up around the facility. Also, for years, ClubMX could only be accessed by a dirt road. They finally got the local town to pave that road, which means riders can hop on their bicycles for rides right out of the facility, whereas before they had to load up a van and go chase pavement. The whole process is getting more polished and more sophisticated all the time. I drove down to ClubMX with Phil Nicoletti. Phil came of age at ClubMX, then he left for a few years while riding with JGR about two hours away in North Carolina. 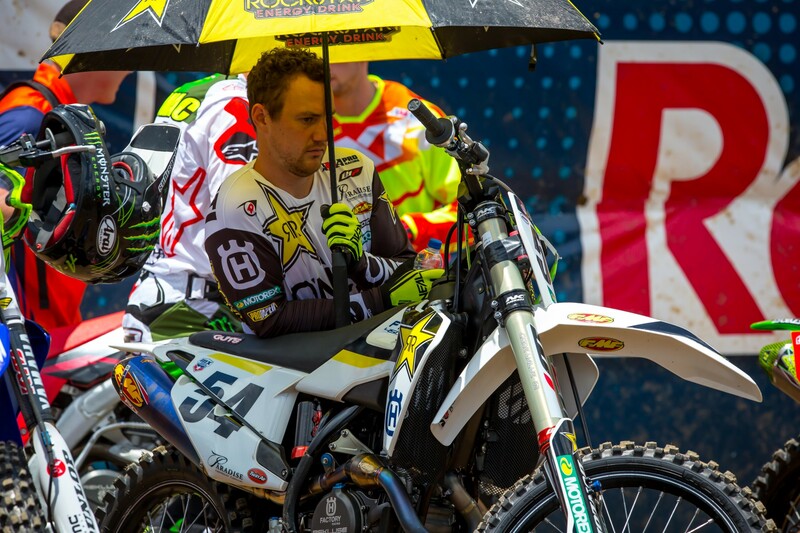 Now that he’s left JGR and joined Rockstar Husqvarna, he’s back at Club. His experience there makes him kind of the de facto leader of the pack—like most facilities, ClubMX is primarily composed of amateurs, but they sprinkle in some pros (Nicoletti, Brayton, and McAdoo on this day) to help guide the kids around. Phil never pulls punches, and if he catches kids slacking, he lets them know. Phil and the crew did a 20-minute warmup (where he got to test a new shock Husqvarna had sent), then some 40-minute motos, then a series of two-lap sprints. His riding started at 9:30 and ended at 1:30. During that time, I grabbed a pit bike and cruised around to check out all the tracks and buildings. We wheeled out of there at 2 p.m., and Phil pointed out a building I had missed: a cabin he used to share with Alex Martin. It was small. Like, really small. Shed small. A lot of the amateur rippers down at Club are living in motorhomes. The more permanent residents have the nicer houses. That cabin, though—man, that was something else. Phil and Alex were full pros by this time, but they were sharing a one-room building with two loft beds at the top. Phil says the place didn’t even have a real kitchen. Basically, they lived in a shed together. For years. Eventually Phil started renting a house nearby. That made things easier, but even Phil, never one to find the silver lining in any dark cloud, couldn’t complain about that tiny building. That’s what ClubMX tries to do now. You can make facilities nicer and more professional, but in the end, no one is supposed to be down there to have a good time. These training facilities aren’t Airbnb rentals, time shares, or resorts. They are training facilities, so it’s supposed to be tough. It’s all about the grind—not just to prep riders for Loretta Lynn’s in two weeks, but to plant the right seeds for the future. If you’re going to make a living in this sport, you’re going to be on that grind and suffering, every day, pro or amateur. Digital track map preview for the 2018 Spring Creek Motocross, the eighth round of the 2018 Lucas Oil Pro Motocross Championship.